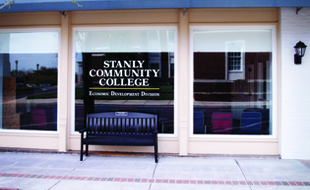 As a member institution within the North Carolina Community College System, Stanly Community College practices an open door admissions policy. Admission to the college does not guarantee acceptance to the program of choice or guarantee continued enrolment in the college. The program appropriate for an applicant is dependent upon the applicant’s specific interest and level of education. Undocumented immigrants may enroll in SCC under the conditions outlined under 1D SBCCC 400.2. Stanly Community College may deny admission to a student who is under current suspension or expulsion from another educational entity. If the suspension or expulsion is for non-academic disciplinary reason(s), the student may request a review of the circumstances surrounding the suspension or expulsion. Students requesting a review must provide Stanly Community College with an official statement from the educational entity where the suspension or expulsion occurred explaining the term and circumstances of the sanction. Transfer students must be eligible to return to the last institution attended. 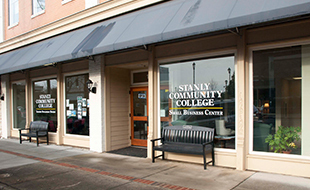 Stanly Community College has the authority to evaluate whether an applicant has exhibited behavior or made statements that would constitute an articulable, imminent, and significant threat to the applicant or others. If an applicant has demonstrated behavior that is threatening consistent with 1D SBCCC 400.2, then Stanly Community College has the authority to deny admission to that applicant because of the articulable, imminent, and significant threat and not because of any disability that individual may have. Applicants denied admission pursuant to 1D SBCCC 400.2 that request a review, must submit a appeal in writing to the Stanly Community College President. Stanly Community College subscribes to the use of multiple measures to place students in curriculum courses. The use of multiple measures to evaluate an applicant for placement into college level courses includes placement (assessment) testing and examination of other student data. Applicants who have graduated from a legally authorized NC high school within the last five years and present an official transcript with an un-weighted grade point average of 2.6 or higher and appropriate high school code notations may be exempt from placement testing. Students with the qualifying criteria above with an un-weighted grade point average between 2.6 and 2.99 may be subject to required interventions designed to assist them in successful completion of their college-level courses. College and Career Readiness classes allow individuals, ages sixteen and older, to earn a secondary degree or to enhance basic life skills. All applicants wanting to enroll in Adult High School courses must provide an official high school transcript. Those who are sixteen or seventeen, and have not earned their high school diploma or high school equivalency, must provide proper authorization to enroll in College and Career Readiness classes. (Previously Approved at ICore & ELT 09/2015, was not updated online & catalog). 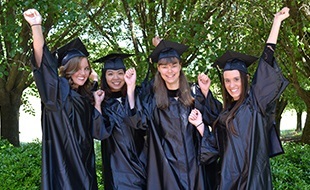 Individuals who are at least eighteen years old and meet the college's general admission requirements may enroll in continuing education courses. However, some continuing education courses or programs have entry requirements that exceed the general entry requirements. Additionally, individuals who are sixteen or seventeen may enroll in continuing education courses on a semester by semester basis. Individuals applying to a curriculum program of study must be a high school graduate. A high school equivalency exam certificate indicating a passing score or an Adult High School diploma is acceptable in lieu of a high school diploma. Applicants who do not wish to pursue a degree, diploma or certificate may apply as a Special Credit student (see Special Credit Admissions). Admission to the college does not guar­antee acceptance to the program of choice or guarantee continued enrollment in the college. Selected programs operate under limited enrollment restrictions, including but not limited to the Basic Law Enforcement Training Program as well as Health Sciences Programs. Applicants to such programs will be admitted initially as a Pre-Major student until they have met the specific requirements and have been selected for the program’s next available start term. Limited enrollment programs have specific deadlines that must be met in order to be considered for the next available start term. Contact the Admissions Office for detailed admissions requirements for these programs. 1, Submit an application for admission to Stanly Community College (SCC). 2.Submit, to the college, official evidence of an earned high school diploma (i.e., secondary, academy, GED, high school equivalency, etc.) in the form of an official high school transcript or official college transcript indicating the applicant has earned at minimum a bachelor's degree from a regionally accredited institution. 3. Applicants who plan to receive Veterans’ Administration (VA) Educational Benefits must list all post-secondary schools (colleges) attended and submit official transcripts from each. These transcripts should be submitted to the Enrollment Management Office for review prior to enrollment and will be shared with the Financial Aid Office. If a student has received or is receiving VA benefits for a class at Stanly Community College, but his/her transcript shows an equivalent course that is eligible for transfer credit, the SCC class will be removed from the VA certification and result in a balance owed by the student. 4.Once the application has been processed and the student admitted, the newly admitted student must complete the remainder of the enrollment and registration process found on the college’s website and in the catalog. The special credit classification is designed for those students who wish to enroll in a curriculum course (or courses) but not pursue a degree, diploma, or certificate. Special credit students must complete and submit an Application for Admission indicating “Special Credit” as their desired program of study. Official high school or college transcripts are not required, however, special credit students must prove they meet the pre-requisites for the course(s) they wish to register for, prior to registration. Official college transcripts are required for course transfer to satisfy the pre-requisite of a course. Please note that special credit students are not considered degree seeking, therefore are not eligible for Title IV financial aid or veterans’ educational benefits. Special credit students wishing to obtain a Certificate, Diploma or Associate Degree can do so by completing a Change of Curriculum form. At that time, they must meet all admissions requirements to continue as a degree seeking student. Special credit students may not displace degree-, diploma-, or certificate-seeking students in classes with limited enrollment. Special credit students may be subject to administrative withdrawal and full refund of tuition and fees if class space is needed for degree-seeking students. Special credit students are not permitted to enroll in courses with prefixes beginning with WBL, PHM, COS, MED, MLT, NUR, RAD, or RCP. An exception is made for the following MED courses: 121, 122, and 134. Stanly Community College encourages all former students who left the College in good standing to enroll for additional study. However, readmission after withdrawal is not automatic. Students who have been out two terms or longer should contact the Admissions Office so their files may be re-activated. Students who re-enter the College after two continuous semester absences must do so under the current operating catalog. Students requesting readmission to allied health programs should request specific information regarding readmission from the Admissions Office. Former students desiring to re-enter who were withdrawn for academic or disciplinary reasons must request readmission through the Vice President of Student Success. The Dean of Enrollment Management and Academic Support Services administers the admission and readmission policies. Individuals who wish to appeal an admission or a readmission decision may request the Vice President of Student Success to review such determination. Stanly Early College admission is based on a selection criteria and process developed by Stanly County Schools. Once students are accepted into Stanly Early College, students should submit a Stanly Community College admission application and complete the college placement test. For more details contact the Stanly Early College principal or the Stanly County School System website. 1. The prospective student must submit to the College's admission office a complete application for admission. An application for admission may be completed online and is available on the College's website at www.stanly.edu. 2. The prospective student must have official transcripts of secondary (high school) and post-secondary (college or university) academic work forwarded to the admissions office of Stanly Community College. All transcripts must be translated in English and evaluated by an agency approved by Stanly Community College to evaluate international credentials. For a list of agencies approved by SCC for evaluation of international credentials, contact the College’s admissions office at sccadmissions@stanly.edu. 3. The prospective student must have official TOEFL scores submitted to the admissions office of Stanly Community College. Minimum TOEFL scores for admission are: paper: 550, internet-based: 80. 4. The prospective student must submit to the admissions office of Stanly Community College written verification of adequate financial support during his/her studies at the College. Acceptable written verification may be in the form of an official bank letter stating that the estimated expenses, as determined by Stanly Community College, for one year of study at that college, are on deposit and are accessible to the student. Another form of written verification is an affidavit of support on which a third party agrees to provide all expenses for the international student during the student’s studies at SCC. These expenses including but not limited to tuition and fees must be paid in full at the time of registration. The prospective student should consult with SCC’s admissions office regarding which document will be used to verify financial support. Once all the requirements listed above have been completed, the prospective student will be issued an I-20 which he must take to the U.S. Embassy in his native country and present to the Consular there. If approved by the Consular, the prospective student will receive an F-1 visa which permits him to enter the U.S. and enroll in classes at Stanly Community College for the period specified on the visa. The process of acquiring an F-1 (student) visa may take 120 days or longer. It is therefore recommended that a prospective student begin the application process listed above at least six months prior to the semester in which he intends to enroll at SCC. Because most programs at SCC start their new academic year in the fall semester, it is recommended that international students begin their studies in the fall semester. Prior to registration, F1 students must meet the pre-requisite requirements for the course in which they wish to register. Students who are not U.S. Citizens but have secured a lawful resident status from the U.S. Citizenship and Immigration Services may apply to SCC. The student must also meet all eligibility requirements for his/her requested program of study. Students who do not have the necessary documentation proving U. S. Citizenship may apply to SCC. The student must provide an official copy of his/her high school transcript. An official copy of an Adult High School program transcript is acceptable. A high school equivalency exam is not acceptable under the 1D SBCCC 400.2 guidelines.